About "Reb Text Edition Green With Jacket"
This text Bible uses the British-initiated Revised English Bible translation and complements the REB with Apocrypha already published by Cambridge. Like its NRSV cousin, it will be an excellent basic Bible for churches and schools, particularly those who prefer a distinctively British idiom. 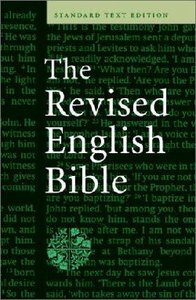 First published in 1989, the Revised English Bible is a complete revision of the New English Bible and is widely used in churches throughout the UK. This practical hardback includes just the Old and New Testaments. Its page numbers match the Cambridge REB Lectern Bibles, so it makes an excellent pew Bible.